MSC Cruises has been trying to bust the US market for more than a decade but has not yet been able to do it in a meaningful way. But two-and-a-half years from now, it will introduce its best ship into service from a modernized dedicated pier in Miami, with the MSC Seaside, first of a brand-new design. Elsewhere, sidewheel paddle steamers now cruise only two of the world’s rivers, the Nile and the Murray, but that number is about to double when the Loire is added next month and the Elbe next spring. At Seatrade 2015 in Miami last week, MSC Cruises announced its plans to reintroduce year-round sailings from the US beginning in late 2017. This it will do by sending the first of its new design of outward-facing 154,000-ton “Seaside” class ships from Fincantieri to be based in Miami. Unlike traditional cruise ships, MSC Seasides’ engine and funnel will be positioned amidships once more, to where they were in ocean liner days. With the use of pods instead of propellers, and electric power, the absence of long propeller shafts has negated the need locate the engines aft. The first ship of this 4,140-berth class will take the name from her class as MSC Seaside. Debuting in 2017, she will be the first of two on order from Fincantieri, with a third on option, and will feature extensive seaside outdoor areas. In particular, with engines now amidships, the aft end of the ship will resemble a Miami Beach hotel. After several years of offering winter cruises out of the US, MSC began year-round sailings from Miami in November 2013 with its 3,502-passenger MSC Divina. 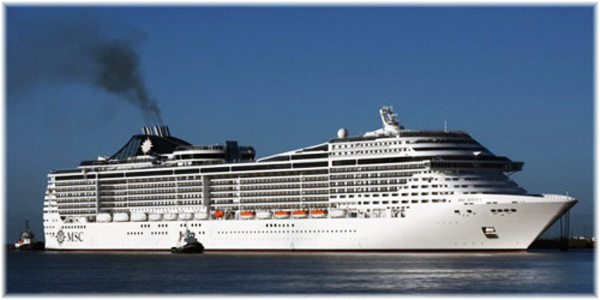 But not long after she began service from Miami, MSC announced that it would revert to seasonal sailings this spring, with MSC Divina returning to the Mediterranean next month. The twelve-ship line is a major player in Europe, where it rivals Costa Cruises, but although it has been offering seasonal Caribbean sailings to North Americans, it has had a difficult time of establishing itself in North America. This is despite bringing ex-Celebrity US president Rick Sasso out of retirement in 2004 to become their North American president, opening an office in Fort Lauderdale and trying to emulate the well-respected Home Lines and Sitmar Cruises, whose Italian crews had made them very popular ships in North America. Part of MSC Cruises’ problem, at least initially, was that it did not always adjust its on board product to the US market, at first not even offering simple things such as free water and coffee in the dining room. The line has finally adjusted to North America while still offering a distinctly European product. In the Caribbean, announcements are made first in English and then such other European languages as may be required, partly because a lot of its custom comes from Italy and other European countries. In announcing plans to return to year-round sailings, MSC Cruises also signed a letter of intent with the Port of Miami for a dedicated berth for the new MSC Seaside, an indication that MSC wants to commit to serving North America. 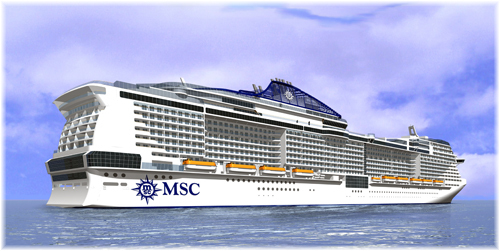 In addition, the MSC Seaside will be christened in Miami. This announcement comes as MSC gears up for another massive, $5.3 billion expansion that will bring seven new ships by 2022, doubling the line’s capacity. In addition to the three “Seaside” class ships from Fincantieri, MSC Cruises has orders for two ships and options for two more of the 167,000-ton 4,500-berth “Vista” class at STX France in St Nazaire. 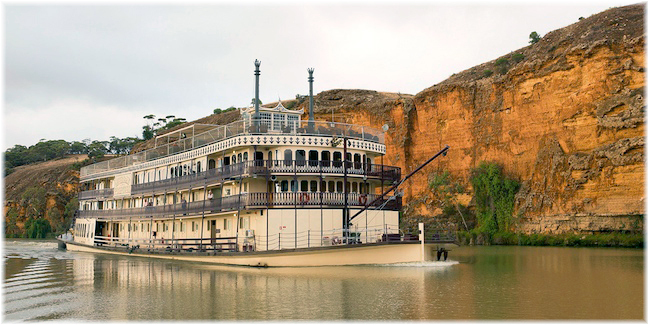 There are only a couple of rivers in the world where sidewheel overnight cruise vessels currently operate, and these are the Nile in Egypt and the Murray River in Australia. But next month, the Loire will become the third and the Elbe will follow in 2016. French river cruise operator CrosiEurope will next month introduce its new 96-berth Loire Princesse, the first overnight vessel to serve France’s longest river, the Loire. At 629 miles, the Loire is France’s longest river, though not all of it is navigable, with its main tributary being the 246-mile Cher. The Loire rises in southeastern France and flows through Orléans, Tours, Angers and Nantes before reaching the Bay of Biscay. The river is restricted by its depth and overhead bridges, but by using shallow sidewheel paddle propulsion instead of screws, Loire Princesse will be able to begin offering 5- and 7-night river cruises next month. The Loire Princesse will be the first serious cruise vessel with more than a few cabins that has ever cruised along the Loire. At 295 feet long and with three decks, the new vessel will feature forty-eight outside cabins of 161 sq ft, accommodating up to 96 passengers. Those on the upper deck will also feature 40 sq ft balconies. The ship’s restaurant will also accommodate all passengers at a single sitting. 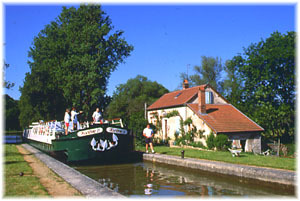 Prior to the introduction of the Loire Princesse, the only way to cruise the Loire Valley was by hotel barge, utilising vessels such as the small 6-passenger Nymphea and other similar craft on the upper Loire. Of the Loire Princesse’s destinations in the Loire, many, including Nantes, St Nazaire, Ancenis, Angers, the Castles of the Loire, Saumur and Bouchemaine are UNESCO-designated sites. CroisiEurope chose to build its newest vessel on the Loire, in the St Nazaire shipyard of STX France, with architect and design studio Stirling Design International in charge of the design development. A second sidewheel river cruiser, the Elbe Princesse, will be built at St Nazaire for the Elbe River, where she will enter service in the spring of 2016. Passengers will be able to board in Berlin and sail directly from the German capital to the centre of Prague, saving a 90-minute coach ride. As she will be able to navigate the Elbe at its shallowest points, including places where the water level drops in the wintertime, she will be able to cruise year-round as well. Last week, we mentioned that Lindblad Expeditions was planning to order two new expedition ships after its flotation this spring. No details have yet been announced, but it has since developed that they will be US-flag vessels. There had been rumours circulating that Lindblad would be seeking to replace the 62-berth Sea Bird and Sea Lion, built in 1981 and 1982 and for years the lowest-rated ships in the Berlitz Guide to Cruising & Cruise Ships. At one-star plus, this compared to two stars awarded to most of the other US-flag coastal ships. This year, probably much to the relief of Lindblad Expeditions, the two ships were not listed in the Berlitz guide. While the new ships will be the first newbuildings for Lindblad since the 96-berth Explorer in 1969, no details have been released about their specifications nor where they are likely to be built, except that they are for delivery in 2017 and 2018.